Champ Marketing » 23 Years Young! 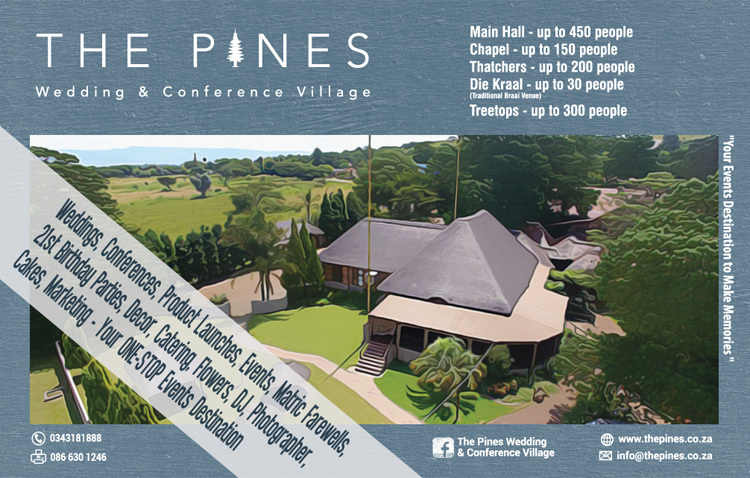 We are a Marketing Agency located in Newcastle, Kwazulu-Natal. For the past 23 years, Champ Marketing has dominated local marketing and promotions, thanks to out-of-the-box thinking and solid client relations. Champ Marketing’s specialty, well known for creative launches of products, companies and brand activations. If there is an event in Newcastle, then you will most probably find the Champ Marketing TEAM being involved. Champ Marketing has ventured into the Communication business. For the past 23 years, Champ Marketing has dominated local marketing and promotions, thanks to out-of-the-box thinking and solid client relations. Partners, Johan Pieters and Christo van der Vyver attribute this to their success. Utilising a combination of research, extensive creative brainstorming sessions, keeping up with the latest trends through magazines, and learning the ever-changing market, Champ Marketing works to bring ideas to Newcastle ahead of the traditional curves. Newcastle was first introduced to a fresh-faced, newly-matriculated Johan Pieters through his info guide in 1995. Under the banner of Johan Pieters Promotions, the first guide featured 10 local businesses on a small pamphlet. still preserved in a file, Johan fondly remembered those who helped lay the foundation for their 20 year empire. “The first businesses featured were The Style Inn, Madame Et Monsieur, Scott Street Pharmacy, BJ Driving School, Propman, Newcastle Motor Mecca, Ralphies’ Glass, Natal Framers, Snowhaven Tuisnywerheid and Waltons. They took a chance on me, despite my having no previous experience.” Slow, steady progress was the way forward for Johan. In 2009, Christo joined the team and further buoyed Champ Marketing for the waters of success. He matriculated in 2001 and completed his BA MBW degree and post graduate BEd Diploma at the end of 2008 at North-West University Potchefstroom. Showing early interest in Events and Marketing during his student years whiles working part-time at Champ Marketing’s events , joining this successful team was surely the next step. We have been making use of the services of Champ Marketing for a number of years. We are happy with the level of communication and turnaround time. The team always goes the extra mile to assist us with all projects, big or small and the best service is rendered within our budget and timelines. I would highly recommend Champ Marketing’s services to anyone. The team is great to work with. Wishing Champ Marketing all the best in their future endeavors. Vodacom KZN has worked with Champ Marketing for the past 10 years as a sponsor of the Vodacom Newcastle Winter Festival. Their knowledge and understanding of the market within which they operate is excellent. Also the professional manner within which they execute on events, qualifies the to work on big complex events. 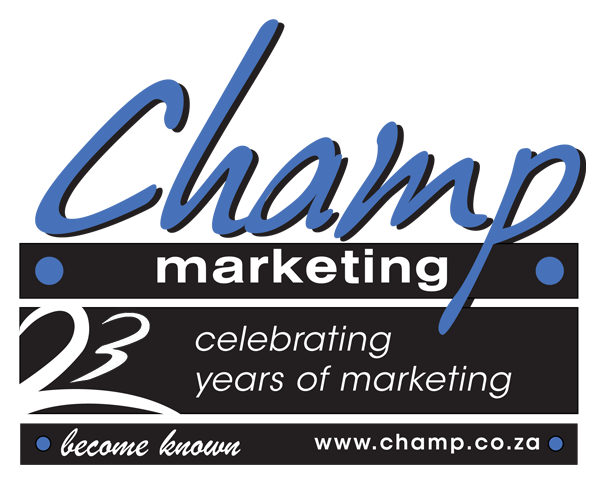 Champ Marketing is one of the best event companies in Northern Natal, we pride our association with them. Our business relationship has seen many successfully completed events over the past years. 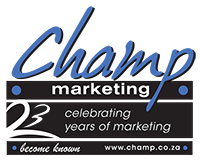 We can recommend Johan Pieters & Christo van der Vyver of Champ Marketing for any event – big or small. All aspects of the event we were involved with were handled professionally. The communication was always precise and friendly and I would be happy to recommend their services to anyone in the industry. I have yet to meet event management specialists as professional and excellent as Champ Marketing. They are, and always have been, the leading marketing company in NKZN and without a doubt, rank highly with the rest of the country. As a professional comedian for the past 11 years in South Africa I have experienced a broad spectrum of service delivery from numerous event organizers and suppliers all over Southern Africa, as well as Indian Ocean Islands, Australia, United Kingdom and Canada. I have had the pleasure of dealing with Johan and Christo for several years and can testify to their SUPERB professional service. We'd really love to hear from you so why not contact us or drop us an email via form below and we'll get back to you as soon as we can.